Posted by The Way to Akhirah , 15:11:00 Be the first to comment! This is going to be a very short post, describing or touching through the method of praying the Eid Salah. Please find below the step by step guide in accordance to the sunnah of rasool (s.a.w) and his sahabaas (r.a.a). Also note that i am not including the details of the etiquette of Eid and other similar topics. this is only a document chalking out the method to pray the Eid ul Fitr. WHEN SHOULD WE START GIVING THE TAKBEER AND WHEN SHOULD IT END? On Eid ul-Fitr, Takbir starts from the moment of leaving the home to the open field. Az-Zuhri (RA) reported: “Allah’s Messenger (SAW) would heave his house on the day of Fitr, saying takbir until he reached the musalla (in this useage meaning outdoor praying area) to perform the prayer. Once he had performed the prayer, he would stop saying the takbir. Al-Albani said: “this hadeeth provides evidence for the Muslims’ common practice of sayng the takbir aloud en route to the musalla (or outside prayer place) even though many people have now neglected this sunnah, until it is almost totally forgotten. it is completed when the sun sets on the last day of the month of Ramadaan. Also see: Majmoo’ Fataawa Ibn ‘Uthaymeen, 16/269-272. WHAT ARE THE WORDINGS OF THE TAKBEER? The below wordings are reported from the Sahabas so one can choose any of the below. 1. “Allaahu akbar, Allaahu akbar, laa ilaaha ill-Allaah, Allaahu akbar, Allaahu akbar, wa Lillaahi’l-hamd (Allaah is Most Great, Allaah is Most Great, there is no god except Allaah, Allaah is Most Great, Allaah is Most Great, and all praise be to Allaah). 2. 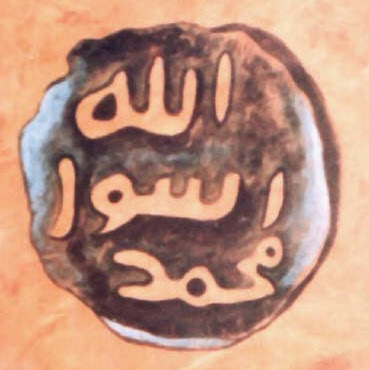 “Allaho akbar; Allahu akbar; Allahu akbar; la ilaha illa-llah; Allaho akbar; Allahu akbar; Allaho akbar wa-lillah il-hamd - Allah is the Greatest; Allah is the Greatest; Allah is the Greatest there is no (true) god except Allah. Allah is the Greatest; Allah is the Greatest; Allah is the Greatest and to Allah belongs all praise. 3. Allahu akbaru kabira; Allahu akbaru kabira; Allahu akbaru wa-ajall; Allahu akbaru, wa-lillah il-hamd – Allah is the Greatest – Great indeed; Allah is the Greatest – Great indeed; Allah is the Greatest and the Most Majestic; Allah is the Greatest; and to Allah belongs all praise. It was narrated that Abu Sa’eed said: The Messenger of Allaah SAWS (peace and blessings of Allaah be upon him) used to come out on the day of al-Fitr and al-Adha to the prayer place, and the first thing he would do was to offer the prayer. Furthermore, Shaikh Albani explained earlier that the Prophet (SAW) musalla was an open field at the Baqi’. Thus, it was not a masjid, which means that no tahiyyat ul-masjid (masjid’s greeting prayer) was required before sitting. However, if the Eid prayer is performed in a masjid instead of the musalla, one should pray only two rak’at (tahiyyat ul-masjid) before sitting. [Recorded by Ahmad, Ibn Majah - Book of the establishment of the Prayers, and the Sunnah regarding them: Chapter (160): What occurs regarding Prayer before the `Eid Prayer and after it: Hadith 1293 and others. The Eid prayer may not be preceded with the announcements of normal prayers: Athan and iqamah. Jabir Bin Samurah (RA) reported: “I prayed the Eid prayer with Allah’s Messenger (SAW) on more than one or two occasions, without athan or iqamah. DESCRIPTION OF THE EID PRAYER - HOW TO PRAY? The Eid prayer is similar to the fajr and Jumu’ah prayers. It only differs from them in that it has additional takbirs as described below. And in regards to the Jummah prayer, another difference is that the khutbah is delivered before you prayer and with Eid prayer the khutbah is delivered after the prayer. (1) Narrated 'Umar bin Al-Khattab: I heard Allah's Apostle saying, "The reward of deeds depends upon the intentions and every person will get the reward according to what he has intended. (1.1) It was narrated that 'Umar bin Al-Khattab, may Allah be pleased with him, said that the Messenger of Allah said:"Actions are but by intentions, and each man will have but that which he intended"
(i) Narrated Aisha:Allah's Apostle said, "If somebody innovates something which is not in harmony (accordance) with the principles of our religion (Mine and my sahabas), that thing is rejected." (1.3) So the act of verbally uttering one's niyat is not only religiously wrong but Also Illogical. e.g : You hear the Asr Adhan and you get up from your bed/office/room/work/desk etc and make wudhu, then you get out of the house, walk or ride towards the masjid. enter the masjid. and get ready to pray asr behind the Imam when the Iqama is heard. Now you did this only because you "INTENDED TO PRAY ASR" and not because "YOU WERE FAKING IT"
(1.4) From 1.3 we learn that our Niyat has been already made logically. and We all know that Allah has been called by the word "Bizatis Sudoor" in the Quran which means "knower of the hearts". So Allah knows what we intend and what we don't. If a person intends to pray asr for the sake of Allah then Allah knows his niyat and if a person is standing to fake his prayer then no matter how good his verbal niyat is, Allah knows what is in his heart. (1.5) from 1.4 we learn that Allah already knows what we are going to pray or how and etc. so now comes the Point that "if we pray only for the sake of Allah, and if Allah knows what we are going/intend to pray, and if we ourselves also know what we are going/intend to pray" then why are we reciting our niyat verbally? When Allah knows, we know then why to do this simply? is this logical? is it logical to verbally spell out your niyat when Allah and you both know what ur going to pray , what time and where, facing the Qiblah and etc? Ofcrse it isnt. so one should abstain from this for this is a cursed innovation in Islam. 1. First Rak'ah has 7 Additional Takbeer excluding the takbeer given while going and getting up from Rukoo, the takbeer for/ during the sujoods. It was reported from ‘Aa’ishah: the Takbeer of (Eid) al-Fitr and (Eid) al-Adhaa is seven in the first rak’ah and five in the second, apart from the takbeer of rukoo’. WHAT IF SOMEONE MISSES SOME TAKBEERS OR JOINS THE FIRST RAK'AH LATE? If a person joining the prayer catches up with the imaam during these extra takbeeraat, he should say “Allaahu akbar” with the imaam, and he does not have to make up any takbeeraat he may have missed, because they are sunnah, not waajib. RAISING THE HANDS DURING THE TAKBEER? Shaikh Albani says "There are no authentic reports describing whether or not the Prophet (SAW) raised his hands with these additional takbirs. For this reason, Imam Al-Albani said: “The reports from ‘Umar and his son (RA) do not make this a sunnah, especially when we know that these reports are not authentic. As for the one from ‘Umar, it is recorded by al-Bayhaqi with a weak chain. As for his son’s, I am unable to locate it." Please note that there are some scholars though, who affirm that Ibn Umar (r.a) used to raise his hands (rafayaden) at every takbeer. And Al-Albani commented on the similar issue of raising the hands with the takbirs of the janazah prayer: “A person may raise his hands if he believes that Ibn ‘Umar would not do this without an approval form the Prophet (SAW). Conclusion : Based on the above discussion of the ‘ulama’, it can be said that raising the hands with these takbirs is permissible, but not well substantiated from the Sunnah. There are exceptions to this rule, such as the takbir that precedes the Eid prayer, and the talbiyah during hajj and ‘umrah. These exceptions are supported by authentic evidence form the Sunnah. Conclusion : Since there is no evidence for the takbirs during the Eid prayer, these takbirs should be said silently by EVERYONE except the imam. However, we have a mawqoof report (i.e a saying of a sahaba) in this regard. WHAT IS TO BE SAID AFTER THE TAKBEER? Al-Timridhi narrated from the hadeeth of Katheer ibn ‘Abd-Allaah ibn ‘Amr ibn ‘Awf, from his father, from his grandfather, that the Messenger of Allaah (peace and blessings of Allaah be upon him) recited takbeer in the Eid (prayer), seven times in the first rak’ah before reciting Qur’aan and five times in the second rak’ah before reciting Qur’aan. Al-Tirmidhi said: I asked Muhammad – i.e., al-Bukhaari – about this hadeeth and he said: There is nothing more sound than this concerning this topic. And I say likewise. It is recommended (mustahabb) that in the Eid prayers the imaam should recite Qaaf [soorah 50] and Aqtarabat al-saa’ah [al-Qamar, soorah 54], as it is reported in Saheeh Muslim that ‘Umar ibn al-Khattaab asked Abu Waaqid al-Laythi, “What did the Messenger of Allaah (peace and blessings of Allaah be upon him) used to recite at [Eid] al-Adhaa and al-Fitr?” He said, “He used to recite Qaaf. Wa’l-Qur’aan al-majeed [Qaaf 50:1] and Aqtarabat al-saa’ah wa anshaqq al-qamar [al-Qamar 54:1]. Note : The muqtadi (one praying behind the Imam) is to recite Surah Fatiha (silently) only and not a surah after it because after Al Fatiha, the muqtadi is commanded to listen to the recitation of the Imam quietly and attentively. WHAT AFTER THE QURAN RECITATION? After the above mentioned methods for the first and second rak'ah, continue the usual proceedings carried for any prayer. Note the only difference between the first and the second rak'ah is that the first one has 7 additional takbeers whereas the second one has 5. Apart from that, you are to carry your rukoo, sujood and etc usually like any other prayer. WHAT TO DO IF THE IMAM DOESN'T FOLLOW THE SUNNAH METHOD? There are many masajids or school of thoughts which pray the salah of Eid contrary to the proven sunnah, in such case one can either choose to pray behind the Imam who follows the correct method (and this is recommended) or one if cannot find such a facility then should follow the Imam, for prophet (s.a.w) said " The Imam is to be followed" and he also said " If the Imam makes a mistake, the sin is his and you shall be rewarded for you. All good is from Allah. All the errors are mine.